Angel Brother's Lath and Plastering, Inc. Comment: Bought this house last year, but class action law suit that had been brought by residents of development regarding pressed wood siding damage, ie dry rot, was not disclosed to us by seller. Dry rot was found on garage and east side of house, and we had it replaced. We want to have the rest of the house have matching siding, replacing the pressed wood siding that is there. House was built in 2000. Comment: Currently have siding that is going bad. Want to stucco the house. Shopping around for pricing and financing options available in the area. Benicia Siding Contractors are rated 4.66 out of 5 based on 334 reviews of 9 pros. 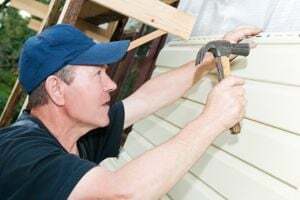 Not Looking for Siding Contractors in Benicia, CA?